It’s one of the best-loved graphic novel series of the last decade and winner of some of the biggest awards in comics. 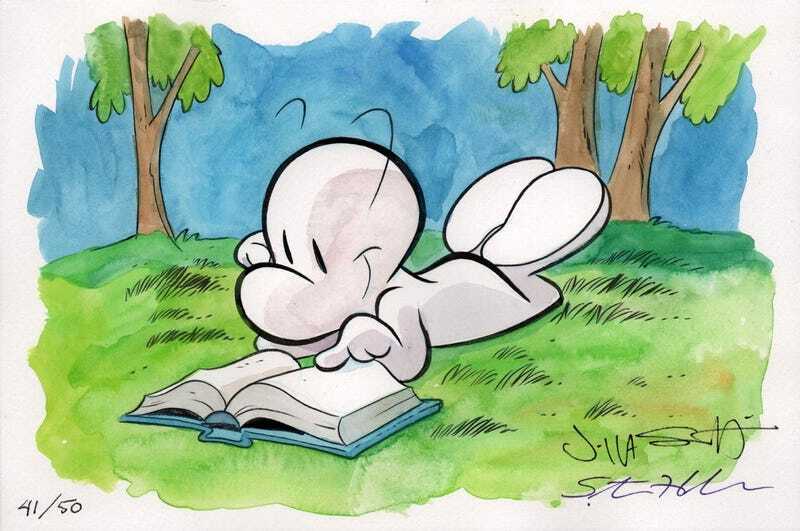 Now Bone is headed to the silver screen with a director who might actually get what makes cartoonist Jeff Smith’s creation so special. According to The Hollywood Reporter, Kung Fu Panda director Mark Osborne is leading the charge to adapt Bone into a feature film trilogy for Warner Bros. Osborne’s most recent work is the animated Little Prince movie that came out in English earlier this year. Bone tells the adventures of three cousins in the Bone family—Phoney, Smiley, and Fone Bone—as they travel through a mysterious valley filled with fantastic creatures. Smith’s deft handling of humor and melodrama via an infectious art style made it into a modern-day classic. It’s the kind of book you say, “don’t mess this up!” about, when news like this hits.